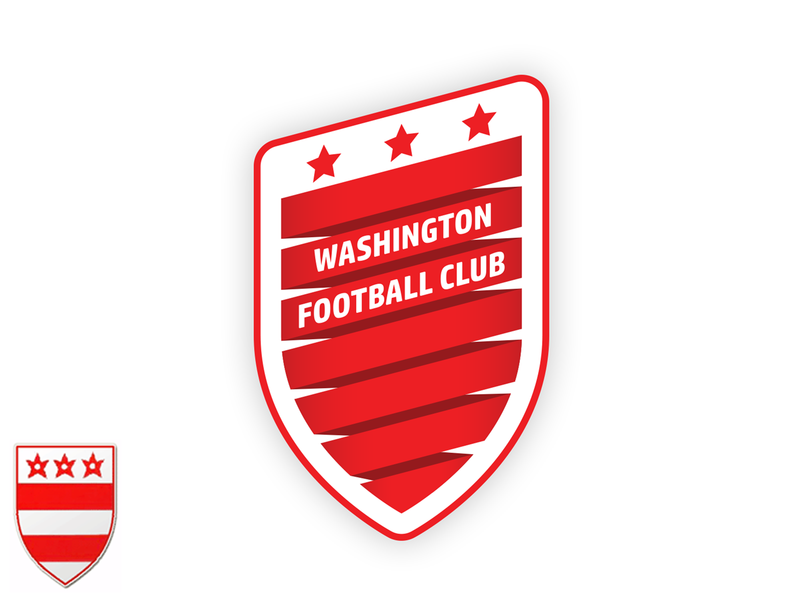 While Washington FC is a small club from the Tyne and Wear county in England, UK based designer MartinLeRoy decided to give this Northern Football League team an identity redesign. And unlike so many other designers around the web Martin has created the new design with concept in mind, combining elements from the old crest and ideas based on history (or in this case a legend) from the region where the club is based. A new crest for my local Northern League Division 2 Side, Washington. 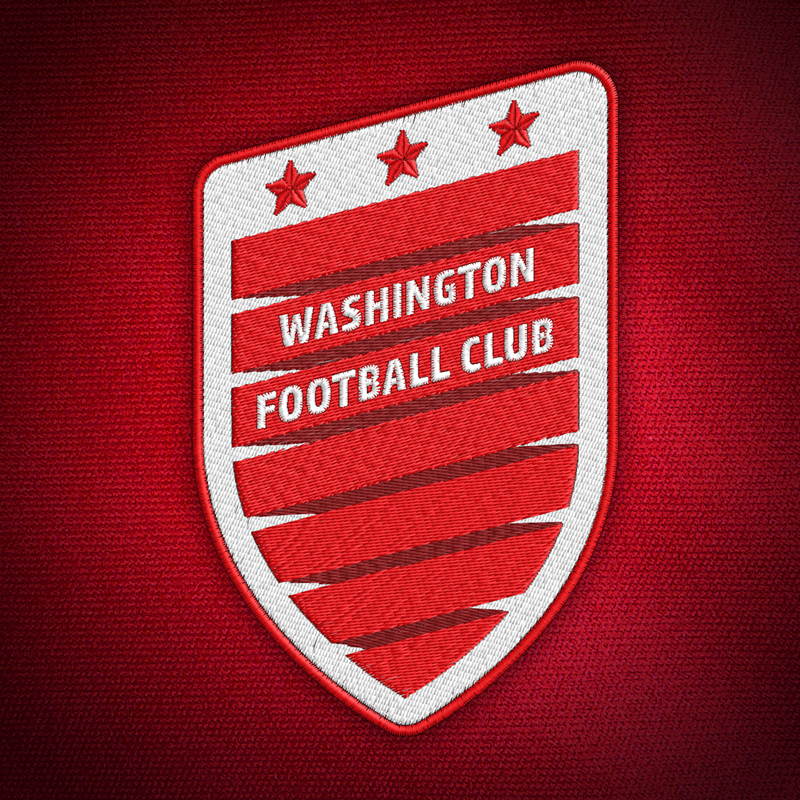 The original crest (bottom left) is the crest of the town of Washington. My new version features a red ribbon wrapped around a a crest shape 7 times to represent the 7 times the Lambton Worm wrapped itself around Worm Hill. 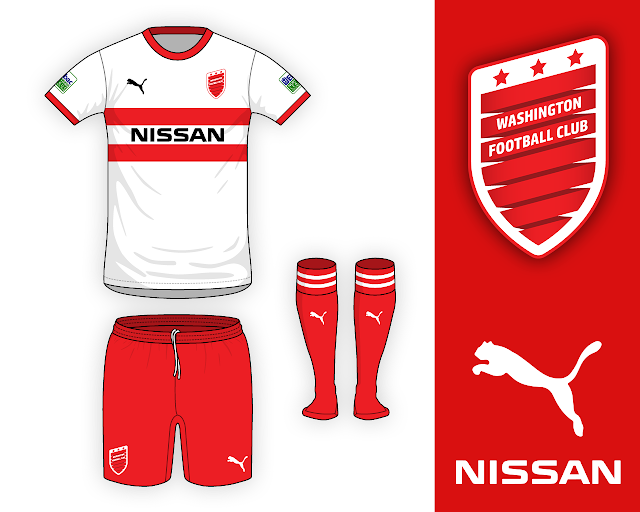 That design echoes the old crest with red horizontal stripes and the 3 red stars above remain.